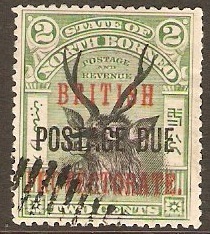 North Borneo 1902 2c Black and grn Postage Due. SGD38. Fine used 1902 2c Black and green Postage Due. SGD38. Cto marked. 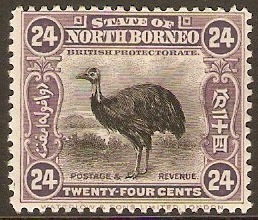 North Borneo 1902 3c Green and rosy-mauve. SGD39. Fine used 1902 3c Green and rosy-mauve Postage Due. SGD39. Cto marked. 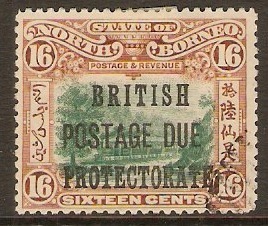 North Borneo 1901 4c Black and carmine. SGD40. Postage Due. Fine used 1901 4c Black and carmine. SGD40. Postage Due. Marked CTO. 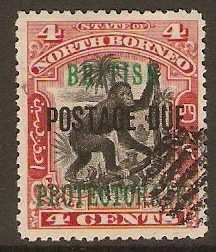 North Borneo 1901 5c Black and orange-vermilion. SGD41. Fine used 1901 5c Black and orange-vermilion. SGD41. Postage Due. Marked CTO. 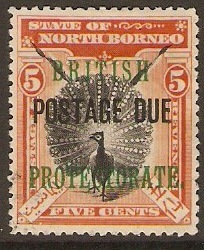 North Borneo 1901 6c Black and bistre-brown. SG132a. 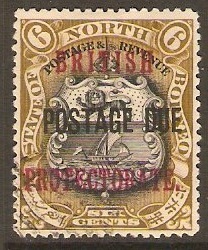 Fine used 1901 6c Black and bistre-brown. SG132a. Postage Due. Marked CTO. 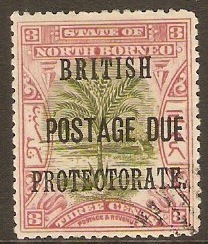 North Borneo 1902 8c Black and brown. SGD43. Fine used 1902 8c Black and brown. SGD43. Postage Due. Marked CTO. 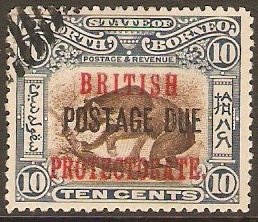 North Borneo 1902 10c Brown and slate-blue. SGD45. Fine used 1902 10c Brown and slate-blue. SGD45. Postage Due. Marked CTO. 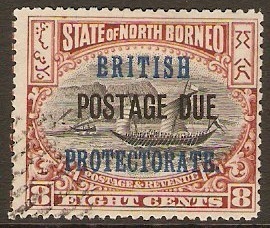 North Borneo 1902 12c Black and dull blue. SGD46. Fine used 1902 12c Black and dull blue. SGD46. Postage Due. Marked CTO. 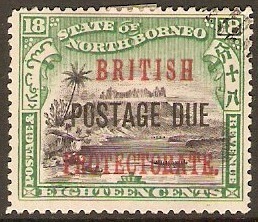 North Borneo 1902 16c Green and chestnut. SGD47. Fine used 1902 16c Green and chestnut. SGD47. Postage Due. Marked CTO. North Borneo 1902 18c Black and green. SGD48. Fine used 1902 18c Black and green. SGD48. Postage Due. Marked CTO.